The BCCI still doesn’t have an ethics officer or an ombudsman. If it did have the latter, Hardik Pandya and K.L. Rahul’s careers wouldn’t have been in limbo. New Delhi: The Supreme Court’s bid to ostensibly fix the BCCI is not just a story of judicial overreach, but one that teaches why it is unwise to use a bulldozer to repair cracks in the wall. After more than seven years, hundreds of court hearings, and crores spent on committees and lawyers, has Indian cricket been reformed for good? Has the infighting among officials running the BCCI stopped? Has the board acted professionally, to everyone’s satisfaction, on complaints of sexual harassment against its CEO, or on the brouhaha over the appointment of the head coach of the women’s team, or against the two cricketers who appeared on a television talk show and spewed sexist tripe? With the World Cup just months away, Hardik Pandya and K.L. Rahul’s careers are in limbo, because the initial inquiry conducted by the BCCI CEO has to be sent to the ombudsman, who has not yet been appointed because the apex court adjourned the most recent hearing without setting another date. The head of the court-appointed committee running the show wants to appoint an ad-hoc ombudsman, but the second member of the committee, who has been at loggerheads with the first, says it amounts to a cover-up. While the BCCI is still cash rich and India are still among the top teams in the world, the entire saga has left everyone wondering where Indian cricket is headed. The judiciary’s bid to clean the BCCI has, in fact, only made it murkier. The bifurcation of the state of Bihar in 2000 resulted in the new state of Jharkhand keeping the rights to organising cricket, since the old association was based in Jamshedpur. Then, in 2005, when Sharad Pawar was heading the BCCI, two factions called the Cricket Association of Bihar and the Bihar Cricket Association began fighting to be recognised as the official cricket body in the state. The BCCI set up a committee including Arun Jaitley, N. Srinivasan and Shashank Manohar probe into Bihar’s issues. In 2011, lawyer Aditya Verma, secretary of the Cricket Association of Bihar (CAB), began a legal crusade to restore the state’s place in Indian cricket. The case barely came up in court between 2011 and 2016, and the BCCI opposed the plea every single time. But the case eventually led to the exits of Srinivasan, Jaitley, Pawar and Anurag Thakur from the BCCI. Verma’s legal expenses were borne by former Congress MP from Jharkhand and union minister Subodh Kant Sahay, and he was represented in court by senior advocates Nalini Chidambaram and Radha Rangaswamy. Cut to 2018, and the Supreme Court agreed to let Bihar play in the Ranji Trophy and other domestic tournaments. But the state’s dream of becoming a permanent part of Indian cricket is still in limbo, as the Committee of Administrators has rejected the compliance certificate submitted by the Bihar Cricket Association, which itself is a disputed body. Or, in other words, back to square one. In the meantime, the IPL spot-fixing scandal broke in 2013. 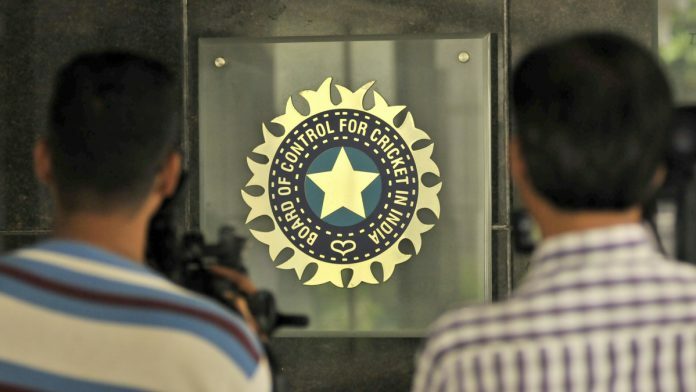 The CAB moved the courts again, calling for accountability in the functioning of the BCCI. This time, although the BCCI and several state associations hired top lawyers, including Fali Nariman, K.K. Venugopal and Aryama Sundaram, the court itself appointed Gopal Subramanium to assist the court. Incidentally, the amicus curie agreed with many of Verma’s contentions — that the world’s richest cricketing body was ridden with conflicts of interest and large-scale misuse of funds. For example, BCCI president N. Srinivasan owned a team, the Chennai Super Kings. This case snowballed into the apex court appointing the Mukul Mudgal committee to investigate fixing allegations, the R.M. Lodha committee to recommend administrative changes to the BCCI, and subsequently, the CoA led by Vinod Rai to implement the Lodha recommendations. Sixteen months after it fully backed the contentious Lodha recommendations, a move that critics termed “the nationalisation of Indian cricket”, the Supreme Court itself agreed to reconsider them, after the CoA, appointed to implement the Lodha reforms, told the court that some of them must be reconsidered. Again, it took about 100 court hearings — which often took up every Friday afternoon of at least two chief justices, T.S. Thakur and Dipak Misra — and an expenditure of more than Rs 6 crore just on the Lodha committee to get back to right where it all began. The Lodha committee recommendations were initially lauded even by its critics, although the devil was in the details. Even the BCCI office-bearers were quoted as saying the recommendations would be implemented. Most of the recommendations were accepted, like delinking the IPL from the BCCI, setting up a players’ association, appointing a CEO, and the creation of three new positions — an ombudsman, an ethics officer and an electoral officer. But three specific recommendations have remained sticking points: The ‘one state, one vote’ policy, the appointment of a CAG nominee in the BCCI governing council, and age and term limits for office-bearers. The ‘one state, one vote’ formula meant only one cricketing body per state would have full membership and voting rights in the BCCI. This meant that states with multiple cricket associations like Maharashtra (Mumbai, Maharashtra and Vidarbha) and Gujarat (Baroda, Gujarat and Saurashtra) would have to resort to Lodha’s formula of rotating voting rights every year. Meanwhile, non-territorial members of the board, such as the National Cricket Club, Cricket Club of India, Railway Sports Promotion Board, Services Sports Control Board and All India Universities, were to be relegated to the status of associate members without voting rights. While this was good news for a region like the Northeast, which had only two full-member associations — Assam and Tripura — the members that stood to lose their clout were up in arms before the court. Their argument was why should a state like Manipur, with hardly any interest in cricket or player base, have three times the power of 41-time Ranji Trophy champions Mumbai? The Supreme Court dismissed all arguments and said this would encourage a Manipuri to now take to cricket, but in January 2017, a year after the verdict was delivered, the government asked the court to reconsider it. Then-Attorney General Mukul Rohatgi claimed the government, which has stakes in the railways, universities and services, was not heard before the verdict was passed. This has virtually ensured that the whole issue can be debated again in court. The Lodha committee also barred ministers or government office-holders from being BCCI officials, and suggested an upper age limit of 70 years for holding the post and a cumulative period of nine years as the maximum term for any office-bearer. Significantly, it said no office-bearer should be allowed to contest any post in subsequent elections, and included a rider — a mandatory cooling-off period of one term. Yet, Vinod Rai, chairman of the Supreme Court-appointed CoA, turned 70 in September 2018 and remained in the post. Today, Rai’s CoA, with only two remaining members out of the original four, takes care of the day-to-day functioning of BCCI, along with CEO Rahul Johri. However, Rai and CoA member Diana Edulji, the former India women’s captain, seem to have a problem seeing eye-to-eye on every issue, beginning with the sexual harassment allegations against Johri. As per the BCCI’s charter, the secretary is vested with powers to take administrative decisions, but the CoA has superseded the BCCI office-bearers. Many in the BCCI accuse Rai of taking policy decisions without consulting office-bearers, despite the fact that he is yet to implement any Lodha recommendations. There is no ethics officer yet, and Rai also appointed Priya Gupta as general manager for marketing, digital and communication with a hefty salary of Rs 1.65 crore per annum without consulting the BCCI general body. The CoA also drew flak for shooting down a proposal to hold a day-night Test between India and West Indies. Rai said the idea had to be put on hold till detailed discussions were held with all the stakeholders, including the players whose body clock over five consecutive days, according to Rai, needed to get “accustomed to a new timing”. So far, the only concrete step taken by the CoA is to prepare a draft constitution for the BCCI, which was approved by the Supreme Court on 1 May 2018. Even as the legal tussle in the top court continues to cough and sputter, courts across the country keep running the cricket administration show. In May last year, the Rajasthan High Court restrained Bhawani Samota, a close aide of Rajasthan Cricket Association (RCA) president C.P. Joshi, from acting as its point-person with the BCCI. The plea was moved by a faction known to be close to former IPL chairman Lalit Modi. While doing so, the court also ordered that distribution of passes to IPL matches that the RCA is entitled to would be supervised by former Ranji player Vinod Mathur. The Delhi & District Cricket Association was, until July 2018, run by former Supreme Court judge Vikramajit Sen, according to orders of the Delhi High Court. Another former SC judge, Anil Dave, was appointed by the Andhra Pradesh and Telangana High Court to manage the Hyderabad Cricket Association till elections were held. As if administrative issues were not enough, in the absence of a strong BCCI, judicial intervention is deciding if matches can be held in a state where there is a shortage of water. So, after all this activity, what has actually changed? Let’s take the example of N. Srinivasan and the conflict of interest charges he faced. Srinivasan is no longer president of even his state association, Tamil Nadu. But he has attended BCCI meetings as a nominated member, since he is on the TNCA’s executive committee through the Perambulur district association. CSK was de-merged from Srinivasan’s India Cements Limited, and a new company called Chennai Super Kings Cricketers Limited was formed. This was to absolve Srinivasan from the conflict of interest charges, but the court refused to agree, since many unclassified subplots involved in the actual hierarchy of ownership. A.C. Muthiah, former BCCI president and Srinivasan’s old rival, had moved the Supreme Court alleging that the board’s bylaws were arbitrarily amended to allow office-bearers to hold commercial interests in the IPL and the now-defunct Champions League, a move that directly benefited Srinivasan. Muthiah later withdrew the plea, leaving even that issue unresolved. And so, after seven years, hundreds of court hearings, and crores spent on committees and lawyers, Indian cricket is no closer to being pristine than when the courts had nothing to do with it.